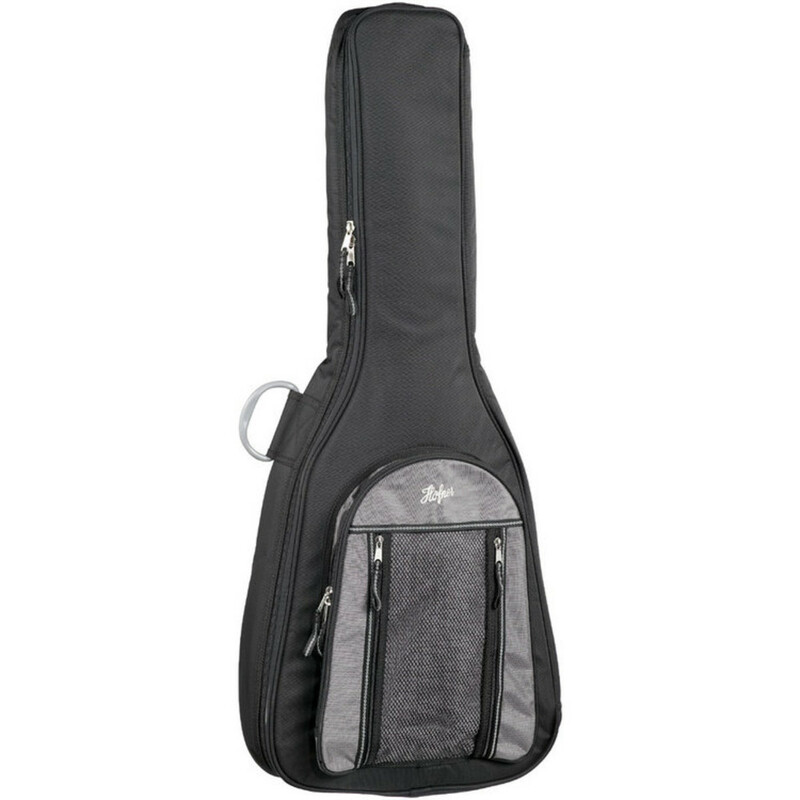 offers excellent protection for your guitar, whether you are storing your guitar or are out on the road. The gig bag is fitted with a sturdy zip, large front zipped pocket, two rear handles and rubberised feet for extra protection. The guitar bag has two padded straps so that you can carry it comfortably and safely on your back. H61/22-BK is suitable for Hofner semi-acoustic guitars.